This week Cee suggests we look at squares, triangles and angles, so I’ve opened my eyes wide along my daily walk to work, once more, and I’ve scrutinised everything around me, until I discovered the right shapes. I finally found the squares and angles on the floor, under my very feet. 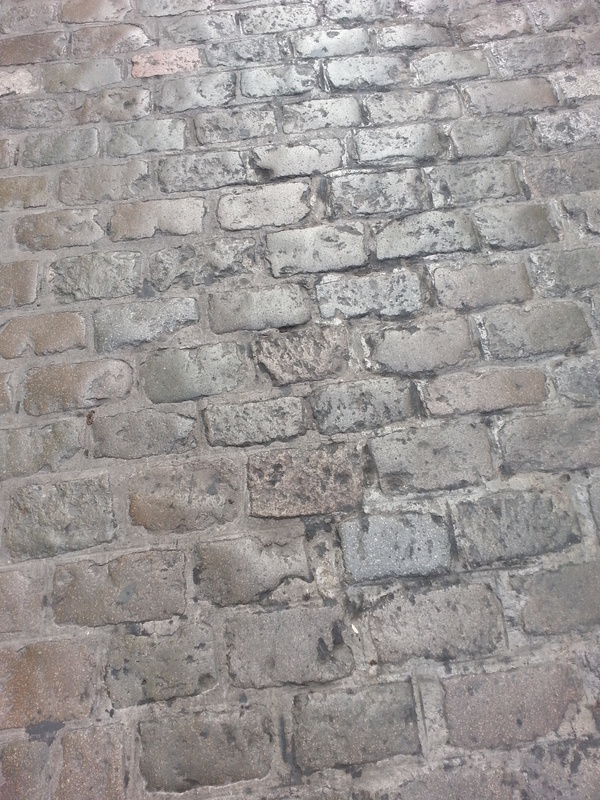 I walk along beautiful, and sometimes wobbly, cobbled streets like these every day. These are the square cobbles around the Mosque in Cordoba. 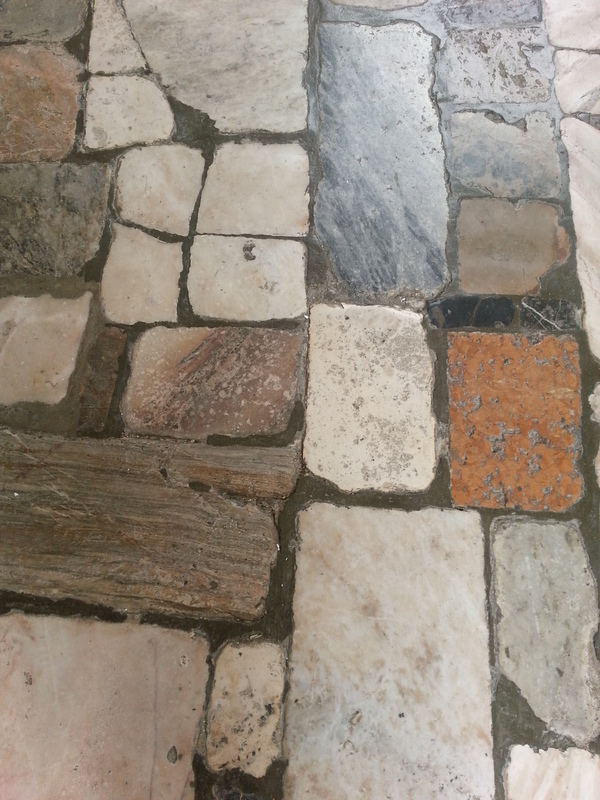 These are the squares on the floor entering the mosque. The most famous road builders were the Romans, who built an impressive network of over 50,000 miles of road, which as the saying goes, led to Rome. 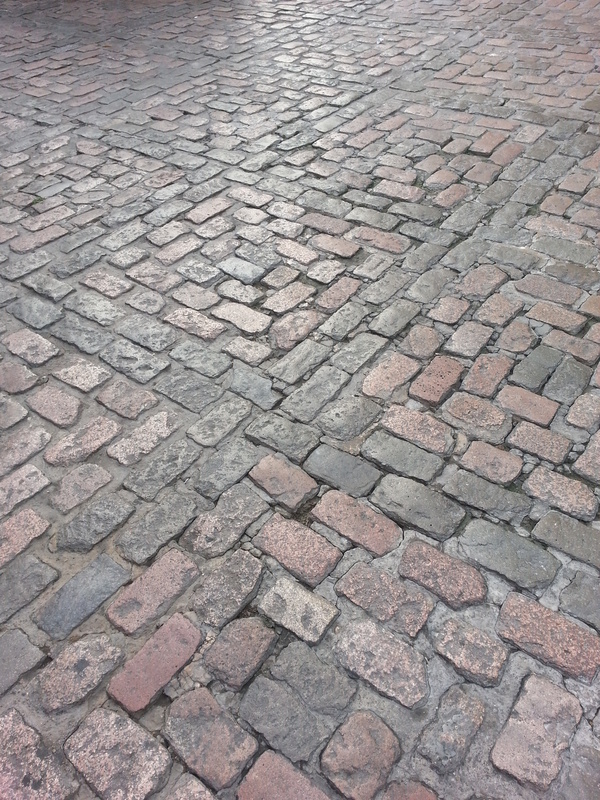 The Romans were the first to build cobbled streets, and this tradition was continued up to the end of the 19th and beginning of the 20th century, when asphalt became the favourite type of paving, because it was smoother, drier, cleaner, more quiet, and more modern. 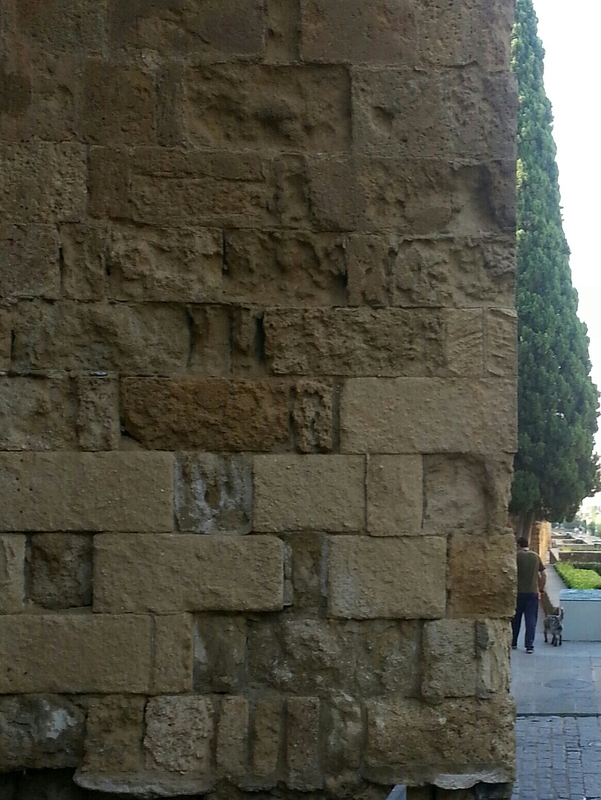 With the advent of the automobile, the joints between the stones became an annoyance. I can’t argue with that, but in spite of the wobbling and the noise, there is something magical about cobbled streets, don’t you agree? Nice shots and such history! Thanks for sharing your corner of the world. Wonderful photos for this week’s challenge. Thanks for playing. Thanks for commenting 🙂 Have you signed up for writing 201? Starts on 21st July! Thank you for accepting. I’ll be reading right away.